Branden Jacobs-Jenkins dares audiences to cut through the noise of superficiality and reclaim their humanity. Branden Jacob-Jenkins’s new play is filled with characters blinded by selfish ambition. One character responds to a co-worker’s cry for sympathy with, “I don’t have room in my life for that.” This moment shows how we clutter our lives with work and personal concerns rather than be present and acknowledge the cries for help right before us. The West Coast premiere of “Gloria” written by Pulitzer Prize Finalist Branden Jacob-Jenkins and directed by Chris Fields, is filled with never-ending wit and biting cultural commentary. This commentary challenges the audience to consider the importance of making room in our hectic lives to acknowledge their humanity and the humanity of others. The show opens with a grand, sweeping overture by Sparrows Lullaby Band (sound designed by Christopher Moscatiello). 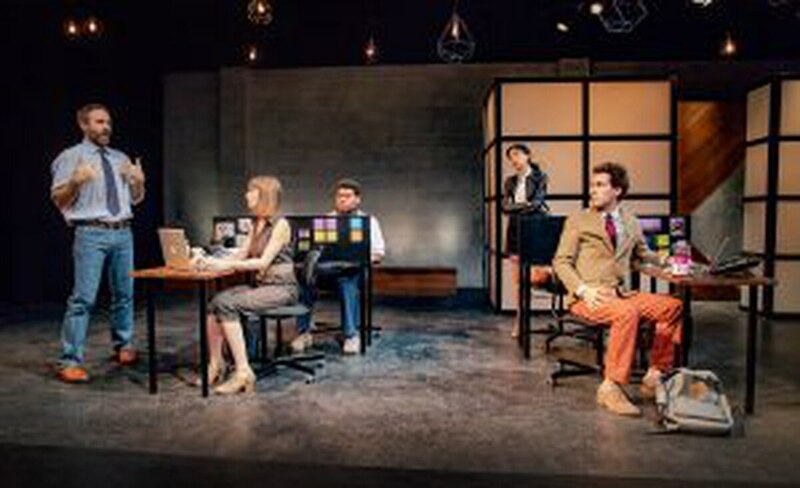 This ushers the audience into an all too familiar, perfunctory cubical laden office, (scenic designed by Amanda Knehans) which is acerbically lit (lighting designed by Azra King-Abadi). This run-of-the-mill office is seemingly incongruent with the epic drama of the score. Once the cast of 20-something lowly editorial assistants at a New York magazine, Ani (Alana Dietze), Dean (Michael Sturgis), and Kendra (Jenny Soo) bombastically enter into what they have bitterly deemed, ‘Edit Row’, with their gripes, hangovers, paranoia, and jealousy, the opening score becomes somewhat earned. Jacobs-Jenkins gifts the cast with such cleverly crafted, multifaceted monologues, arias if you will, effectively orchestrated by Fields. These operatic moments reveal these characters struggle to retain their humanity within their dog-eat-dog office environment. Aggressively disgruntled fact checker Lorin (played by the brilliant Steven Strobel) and entitled Kendra (Soo, who gives a whirlwind of a performance) expertly hit all the right notes. These two hilariously belt out their everyday work frustrations, disillusionment, stresses, and fractured, superficial relationships with colleagues such as the overlooked ‘Office Freak’ and the droll title character, Gloria (played spot on by understudy Nicole DuPort). When their ordinary day is dramatically transformed into anything but, a question emerges: Whose stories of human experience deserves to be validated by the stardom brought by published written word? The closing scene of the play was the most poignant. Lorin, with a beautiful vulnerability, says, “I want to know the people that I work with all day,” to a co-worker she invited out for a drink. He later shares that he has learned the importance of being ‘present.’ This moment speaks to the heart of the play. If we can cut through the distracting white noise of competition, ambition, and self-absorption, and just be ‘present’ within ourselves and with our fellow human beings, our lives, perhaps, can be a bit more bearable. 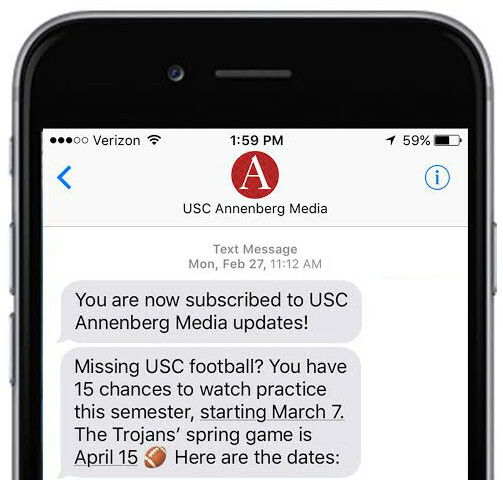 You can contact Contributing Writer Aja Houston at alhousto@usc.edu or follow her on Twitter. Aja Houston is a MFA Dramatic Writing Candidate '19 at University of Southern California School of Dramatic Arts.